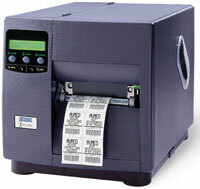 The Datamax I-Class thermal barcode printer line is the most comprehensive, cost-effective industrial label printing solution available in the thermal printer marketplace today and will continue to provide the same exceptional value into the future. The I-Class Family currently consists of the DMX-I-4208, I-4308, I-4212, I-4406, and I-4604. I-Class printers are available with varying printhead resolutions, from 203 to 600 dots per inch, and print speeds, from 4 to 12 ips. 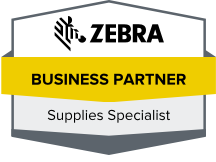 I-Class accessories are field installable and removable, increasing the utility of your technology investment, and most enhancement options are simply plugged into the printer’s rear card cage. All I-Class printers feature the same innovative design incorporating scalability into a rugged structure that ultimately creates a versatile, powerful label printing tool. With the most standard memory and a vast number of available configurations, the I-Class has emerged as the printer of choice for large, multinational operations. All configurations include 203 dpi, 8 ips, 4″ print width, 8MB DRAM, 1MB flash. Includes US power cord.